Did you know that 42% of manufacturers claimed big data and analytics were their biggest priorities in 2015? The first step is always having the right plan in place. What are your goals, what types of data do you want to track, what type of environment is it going to be in? In other words, what are you trying to do? Having a clear digital manufacturing or warehouse wifi strategy will ensure you implement the right infrastructure to be successful. The goal is to create a collaborative, unified digital framework that will be the backbone or hub of all of your operations. In order to take advantage of the insights that big data and analytics provide means you need to have reliability and strength in your industrial wifi network. Once your network is up and running efficiently it’s time to transform the traditional archaic processes you're used to, to a digitized setup. This conversion creates endless opportunities to improve accuracy, reliability, performance, and quality. For example, managing shipping and receiving processes digitally saves both time and money while also allowing for easier identification of inefficiencies and delays. 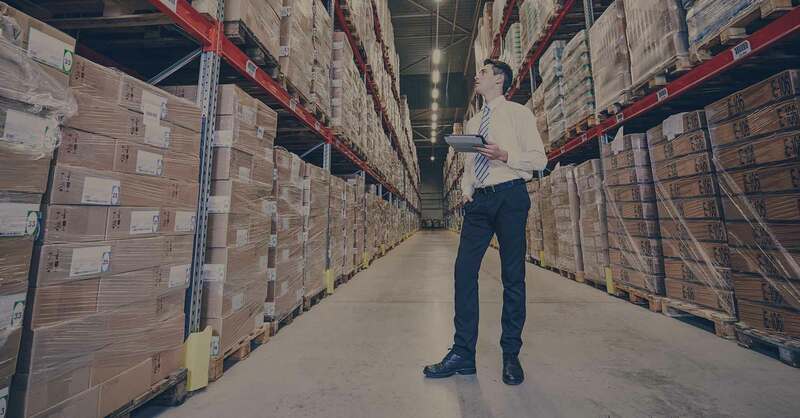 Automating inventory systems and using RFID tags to account for your products throughout the entire supply chain will allow you to keep up with demand more accurately as well as increase your efficiency while decreasing costs due to incorrect inventory control. It's safe to assume that with these new systems in place your customers and clerical staff will both thank you. Pulling paper files is not only time consuming, but files are lost, misplaced, and do not always have all of the proper pages attached. Tracking every document from product development, quality check, shipping, delivery, and the payment allows you to track a live workflow digitally from beginning to end with the click of a button. Now all departments in the warehouse can access the pertinent information in the process rather than the typical “silo” method of communication. The approach is to become more communicative and efficient from start to finish. For example, accounting can access shipping documents to see the shipping document and tracking when questioning a customer for receipt without directly disrupting the shipping department. The companies implementing these digital approaches are attaining increased systematic insights into improving their workflow, quickly identifying errors, and overall creating better quality control. It's all about giving the right person, the right information at the right time so they can make faster, smarter decisions. Big-data and analytics are a very exciting part of what’s being called industry 4.0 or the fourth industrial revolution. This revolution consists of many different components all working together to completely digitize and automate manufacturing and warehousing. Suggested Reading - "The Truth About the New Industrial IoT Economy [Infographic]"
This means businesses will pair cyber-physical systems with the ability to process data quickly to create actionable insights leading to increased productivity and decreased costs. Having the right infrastructure in place to harness and connect these new strategies and systems is a critical first step in the overall process. While the analytics provide immense value and business potential they are nothing without the proper foundation holding everything up. Want to see how implementing big data and analytics can improve your manufacturing processes? Please contact us here, we’d love to chat.